Thousands of Venezuelans flee their country each day, amid a deepening political and economic crisis. Growing hunger and violence are forcing desperate migrants to pour into neighboring countries, fueling the worst humanitarian crisis in the region. Once Latin America’s richest country, oil-rich Venezuela in the past has been host to thousands of refugees. Now, its economy has collapsed in a startling fashion, under the impact of years of failed socialist policies. 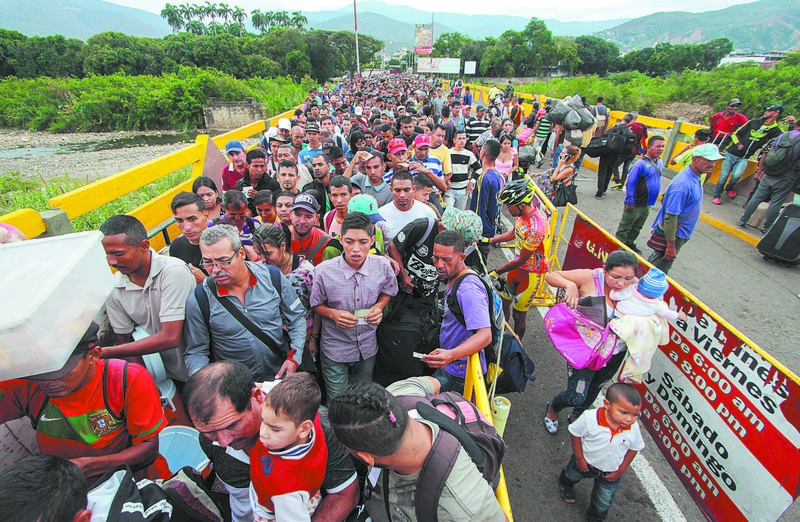 The number of Venezuelans forced to leave their homes has accelerated in recent months, reaching 5,000 per day, according to United Nations High Commissioner for Refugees (UNHCR). So far, an estimated 1.5 million Venezuelans have left the country due to poverty, insecurity, violence, and lack of food and medicine. Neighboring Colombia is the country most affected by the mounting influx of migrants. Since 2014, the number of Venezuelans seeking asylum worldwide has increased by 2,000 percent, according to UNHCR. Hundreds of thousands of Venezuelans don’t have legal documentation or permission to stay in asylum countries, where they are vulnerable to exploitation, trafficking, violence, sexual abuse, discrimination, and xenophobia. Nearly 170,000 Venezuelans have filed asylum claims globally, while more than 500,000 have found other forms of protection or legal means of staying abroad. The region is facing one of the fastest-growing displacement situations in its history, UNHCR spokesperson Aikaterini Kitidi wrote in an email. The country is experiencing the worst economic recession in its history, with its economy having shrunk by half since 2013. Inflation is expected to hit 13,865 percent this year, according to the International Monetary Fund’s latest forecast. Bloomberg’s gauge suggests an inflation that is much higher than the IMF’s estimate. According to Bloomberg’s Venezuelan Café Con Leche Index, the price of a cup of coffee has increased from 5,500 bolívars to 250,000 bolívars in the last six months. The deepening economic crisis in Venezuela has led to extreme poverty and hunger. The nation’s infant mortality rose 30 percent last year, and its maternal mortality rate skyrocketed by 65 percent. Venezuelan President Nicolás Maduro, however, claims that there is no humanitarian crisis. The so-called elections in Venezuela, scheduled for May 20, will be nothing more than a fraud and a sham. U.S. Vice President Mike Pence, speaking at the Organization of American States meeting on May 7, accused Maduro of blocking humanitarian assistance to Venezuela. Pence urged him to open up his country to international aid immediately. “Nearly 9 out of 10 Venezuelans live in crushing poverty,” Pence said. 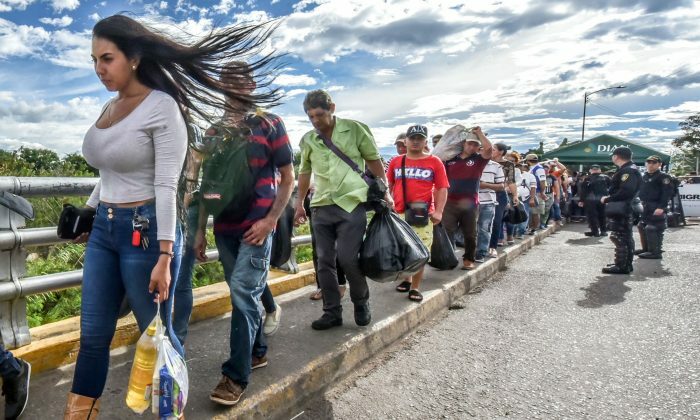 The United States is providing $2.5 million in aid for Venezuelans living in Colombia and will devote an additional $16 million for Venezuelan immigrants across the wider region. Pence also called on Venezuela to suspend its presidential election later this month. Trump has repeatedly called socialism and communism failed ideologies, and, despite having the world’s largest proven oil reserves, Venezuela is the latest example of socialism’s failure. Two consecutive socialist rulers have pushed the nation to the brink of collapse.